How chic would this bag and shoes look with a simple blazer and black trousers? I was browsing the Céline site while milking my morning cup of coffee, and they really jumped out at me. 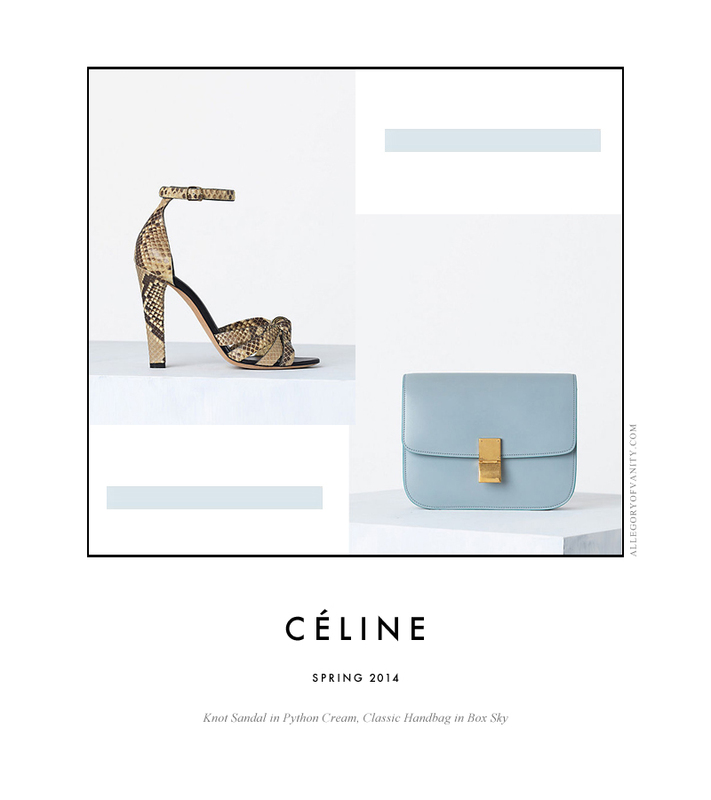 Well, everything from Céline jumps out at me; I love it all. But these items in particular because I thought they had a bit of a '70s vibe; they remind me of things I see my mom wear in old polaroids from that era.